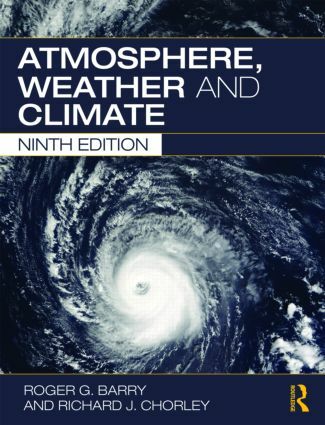 This book presents a comprehensive introduction to weather processes and climatic conditions around the world, their observed variability and changes, and projected future trends. Extensively revised and updated, this ninth edition retains its tried and tested structure while incorporating recent advances in the field. From clear explanations of the basic physical and chemical principles of the atmosphere, to descriptions of regional climates and their changes, the book presents a comprehensive coverage of global meteorology and climatology. In this new edition the latest scientific ideas are again expressed in a clear, non-mathematical matter. final chapter on climate variability and change has been completely rewritten to take account of the IPCC 2007 scientific assessment. over 360 diagrams have been redrawn in full colour to improve clarity and aid understanding. Atmosphere, Weather and Climate continues to be an indispensable source for all those studying the earth’s atmosphere and world climate, whether from environmental and earth sciences, geography, ecology, agriculture, hydrology, or related disciplinary perspectives. Its pedagogic value is enhanced by several features: learning points at the opening of each chapter and discussion topics at their ending, boxes on topical subjects and on twentieth century advances in the field.